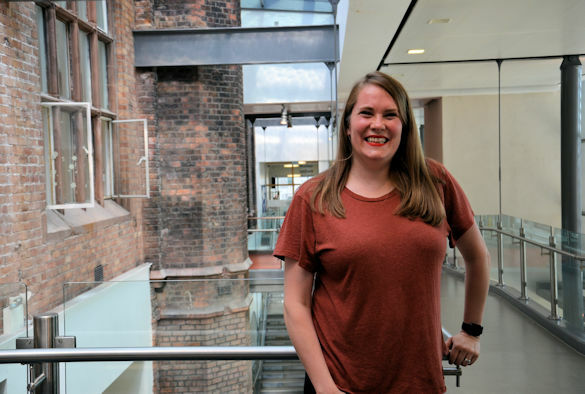 Dr Kate Black, a lecturer in the University's Centre for Materials and Structures has been named as one of the Top 50 Women in Engineering in today’s Sunday Telegraph. The Top 50 Women in Engineering (WE50), compiled by the Telegraph in collaboration with the Women’s Engineering Society , features the UK’s top returners and transferrers into engineering and allied sectors and were chosen from nearly 200 nominations. Unveiled as part of celebrations for International Women’s Day, the WE50 initiative aims to boost female uptake of engineering roles and careers by celebrating the notable achievements made by women in the sector. Kate’s research interests are primarily focused on the development of novel functional materials, using inkjet printing, for the manufacture of electronic and optoelectronic devices. Her main area of expertise is in the development of novel Reactive Organo-Metallic inks (ROM) which are particle-free and can be exploited to produce a wide a variety of functional materials, such as conductors, insulators and semiconductors. She gained her PhD in Material Science at the University of Liverpool in 2008. Executive Pro-Vice-Chancellor for Science and Engineering, Professor Ken Badcock, said: "Kate has quickly established herself as an academic, through her academic contributions but also through her leadership and drive for the Liverpool society for women in science and engineering (Livwise). Kate's research is in a key topic in modern manufacturing, and it is no surprise that she has been identified as a top women in Engineering. I am really delighted that she has received this recognition." Kate will receive her award at an International Women in Engineering Day afternoon tea event held by the Women’s Engineering Society on 26 June.